It’s only a Problem if you choose it to be! Mike brings to the table a background over thirty years as a Triathlete and all around endurance athlete, including the ultimate physical and mental test of the Ironman. He has competed in hundreds of swimming, running, and biking endurance events. Mike strongly believes in health, fitness and nutrition to fuel the mind and body to maximum performance. 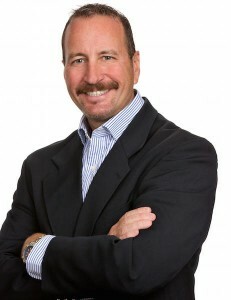 Further, Mike has extensively studied and exhaustively researched the areas of behavioral psychology, motivation, personal development and achievement. Mike has completed coach training and certification from a well known national coach training school, and is a practicing Success Coach and Consultant for business executives, professionals, and athletes. Putting all of this together, Mike has perfected a system of high performance self-coaching that can guide you to a path to accomplishing and maintaining any goal. The life lessons learned from all of these endeavors have prepared Mike to handle any situation and any chaos with calm assurance. They have also strengthened and deepened his understanding of what it takes to support personal growth, behavior modification, goal setting, and achievement. You are never to old, poor, fat/skinny, dumb, tall/short, etc etc to accomplish anything! Dream it up. Think it out. Believe it. Feel it. Plan it. Do it.